Seems like every blog about notebook computers and batteries is bad news -- recalls, fires and the like. Well, how about some good news for a change! Hewlett-Packard (HP) will reportedly release a notebook next month that can run for to 24 hours using a high-capacity battery -- but only if it's running Microsoft's Windows XP operating system. 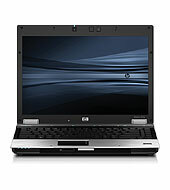 The long-lasting notebook will be a special configuration of the 6930p, part of HP's EliteBook line. The allure of a battery that can last a day is incontestable, as anyone who has spent time in an airport searching for a power outlet knows. The secret to the 6930p's long battery life is new technology -- and some old technology, too. To get the best battery performance, the 6930p will have to run Windows XP rather than Windows Vista. Vista has been criticized as being a power hog, although some of its flashy, power-draining features such as the translucent Aero windows can be turned off. Read more about it at PC World here.